Just in time for winter! Cartoonist Chris Britt has created a wonderful, wintery, warm-hearted tale ready for the ranks of Rudolph and Frosty. The Most Perfect Snowman, named Drift, is anything but perfect and he knows it; even worse, all the other snowmen know it, too. He is incomplete. No hat! No mittens! No scarf! Not even a sturdy carrot nose to call his own. The other snowmen are relentless in their taunting. They have fashion parties with cool sunglass-toting jazzy snow-musicians and an endless array of merry snowmen games. All Drift can do is watch from his spot on the edge of the woods, insecure, depressed, and woefully alone. As night sets in, the children head home and a wintry wind riles up the trees, the bushes, the snowflakes, the hat, and the mittens. In the search to reclaim his treasured possessions, Drift makes due with the fact that he still has the scarf and the nose. In the midst of the howling wind, a still small voice calls out for help. Drift, taking a cue from the compassionate and giving children, comes to the rescue of a sweet and innocent little forest critter. Perfection, not complete in the items one possesses, becomes “most” perfect in how the items are used. 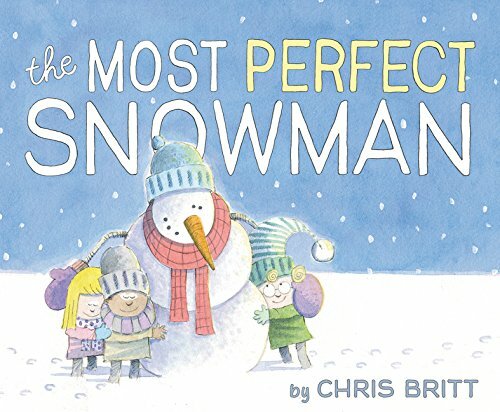 The Most Perfect Snowman is an expertly illustrated and charmingly told story carrying a sweetly sincere message of friendship and giving.